Organizations who impletment data analytics on a consistent basis generally perform at a higher level than those that do not. Data analytics is an ever evolving trend in gaining an edge whether it be in business, healthcare, even athletics. The data mined and analyzed signifies the quickest path with least resistance to success. On the other hand business decisions that are made without data my impede a business from reaching its full potential. Decisions are made after a problem arises. A decision comes about only after a problem has been identified, then a hypothesis realized. Companies with then need to take action through decision making. Companies must follow this process to efficiently idendify problem and come up with answers. Fortunately, we can help you with that! We can help you gain a competitive advanctage over your competition by helping you understand data and implement strategies based on data collected. 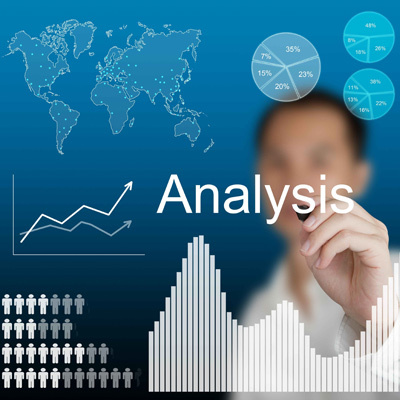 Data gathering & analysis allows for companies to monitor current goals and past performances. Using data correctly can help you predict future trends in your industry. If you aren't currently collecting and analyzing data... then you are missing out. We specialize in helping you reach your business goals with data analysis. If you believe your business is mission out on opportunities involving data analysis and monetization then you need to contact us now!